Sensational actress, Adesua Etomi has made the cover of international magazine, Vogue. 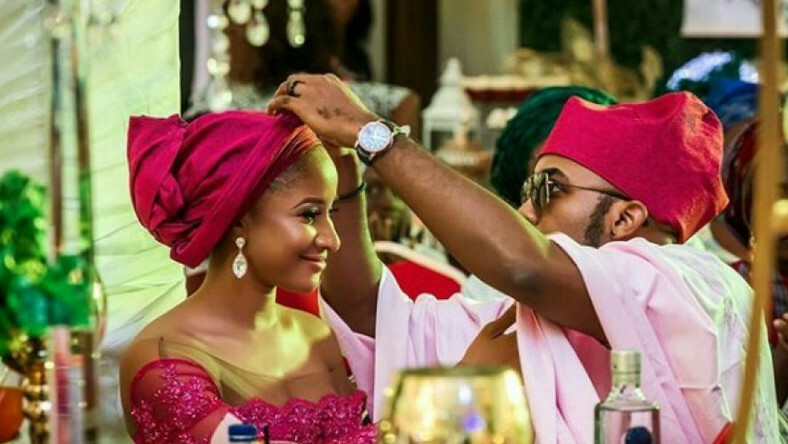 Her husband, Banky W cannot keep calm. The singer who recently turned a politician took to his Instagram page on Thursday, March 14, 2019, where he showered praises on his wife for making it to the front cover of one of the biggest fashion and lifestyle magazines in the world. Breaking news: My wife is on the cover of VOGUE MAGAZINE!!!!!!!!!! Susu you are such a star and an inspiration!!! I'm soooo PROUD of you and happy for you. You're an incredible actor, and an even more incredible human being, and you deserve to shine so bright that the whole world has no choice but to see it. This is incredible. Thank you to @voguemagazine and glory to God. Ladies and gentlemen, Pls if you see me walking around with high shoulders today, you shld understand. 👏🏽👏🏽👏🏽👏🏽😭😭😭🙌🏽🙌🏽🙌🏽😍😍😍😍😍 Link to the cover story is in my profile. “Breaking news: My wife is on the cover of VOGUE MAGAZINE!!!!!!!!!! Susu you are such a star and an inspiration!!! I’m soooo PROUD of you and happy for you. You’re an incredible actor, and an even more incredible human being, and you deserve to shine so bright that the whole world has no choice but to see it. This is incredible. Thank you to @voguemagazine and glory to God,” he wrote. TheNewsGuru, TNG recalls that Omotola Jalade Ekeinde was honoured as one of the 100 most influential people of African descent. The AMVCA award-winning actress announced the good news via her Instagram page on Thursday, October 4, 2018. “Honoured to be one of the Most Influential 100 People of African Descent at the United Nations by @mipad100,” she wrote. Congratulations to Omotola Jalade-Ekeinde for flying high the name of our country.